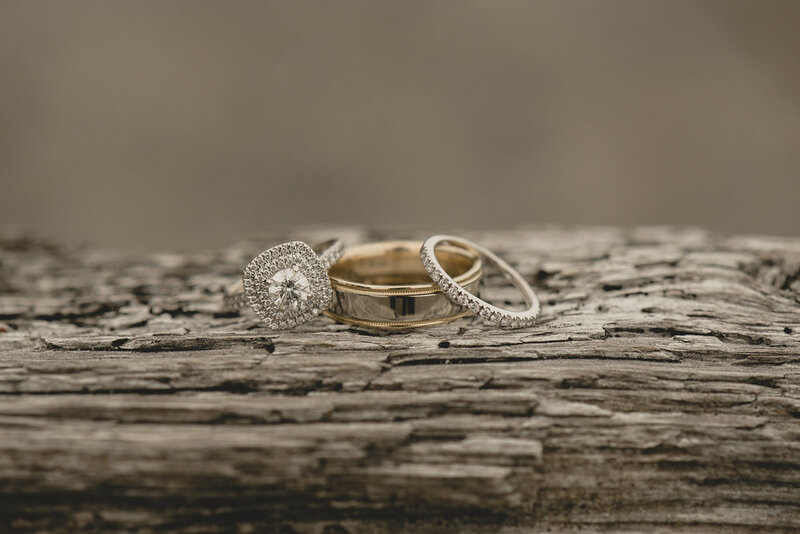 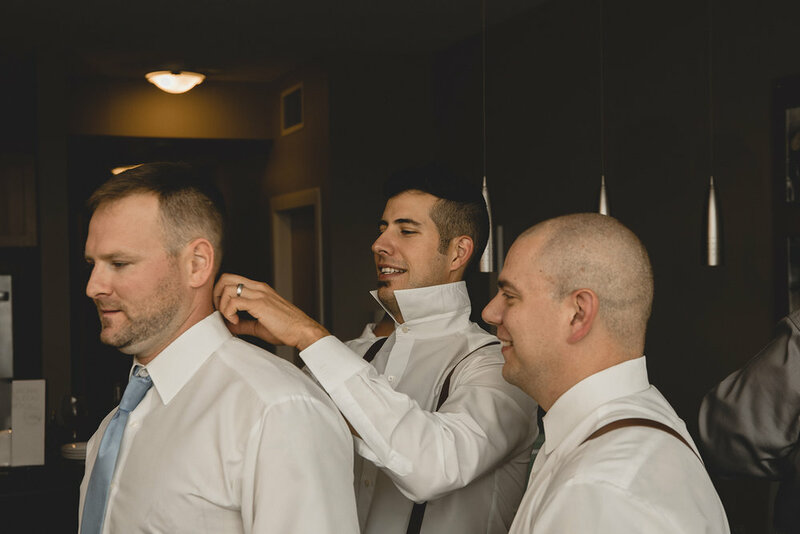 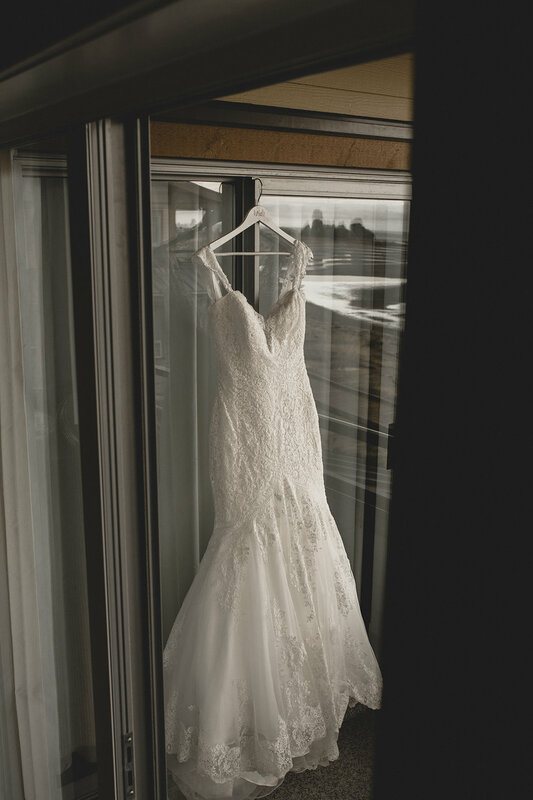 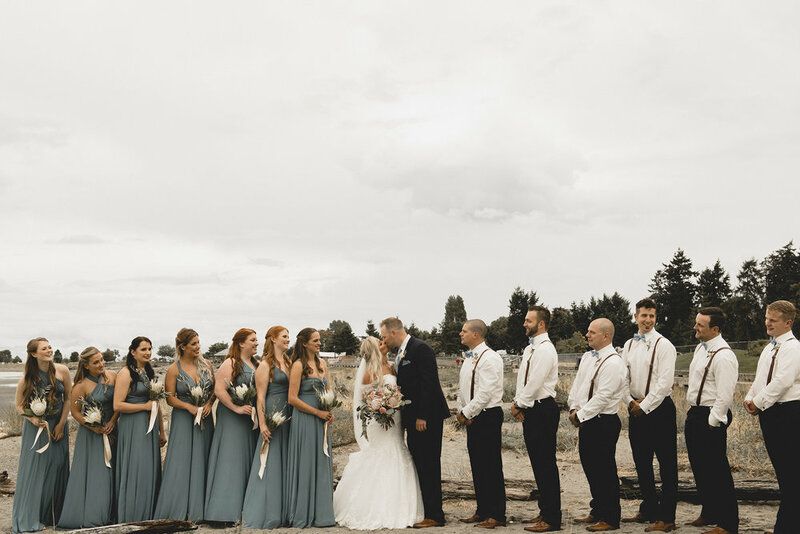 Andrew + Monica’s wedding began on a beautiful foggy morning in Parksville. 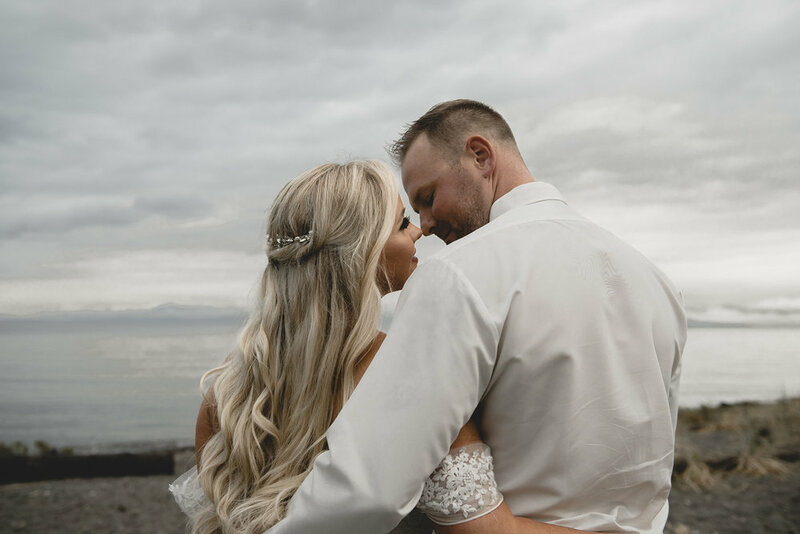 Mother Nature had been forecasting monsoon conditions all week long, but as luck would have it she pulled out a moody win for us for the vast majority of the day (you better believe we did several happy dances as the wedding progressed). 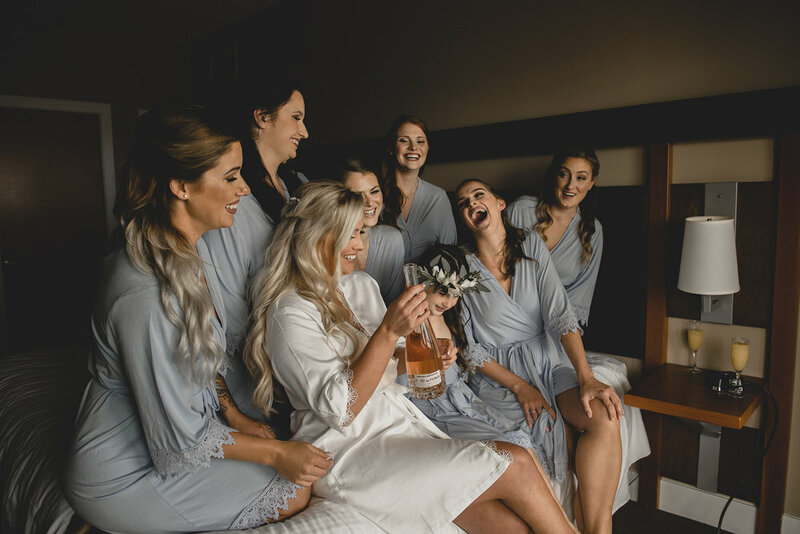 We spent our morning between the couple documenting so many incredible details, sipping champagne and getting ready for the big day. 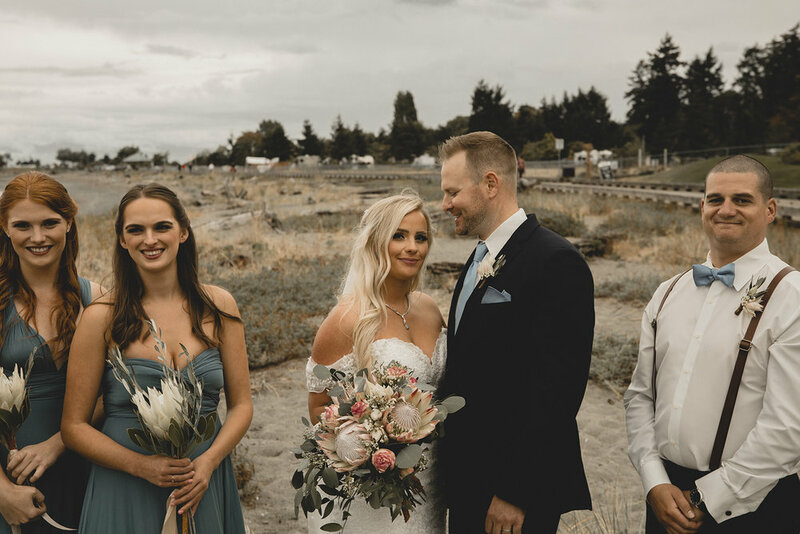 The clouds parted just in time for their beach front ceremony, all the family photos and of course our time with the bridal party along Rathtrevor Breach (thank you Mother Nature!) 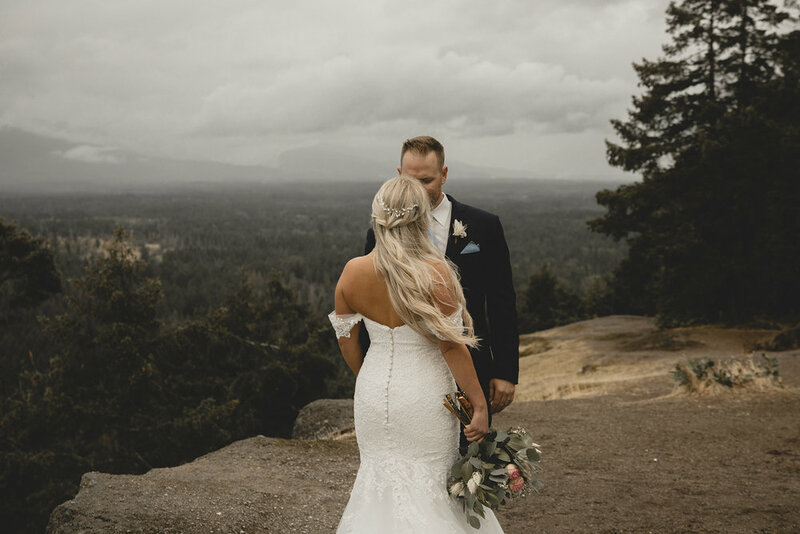 For their couple session, we hopped in the truck and made our way up Little Mountain, a nearby gem only 5 minutes away from the venue. 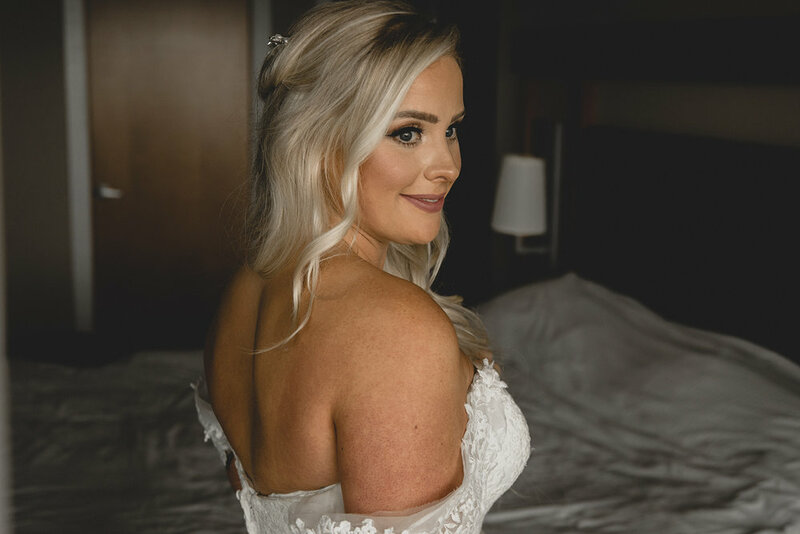 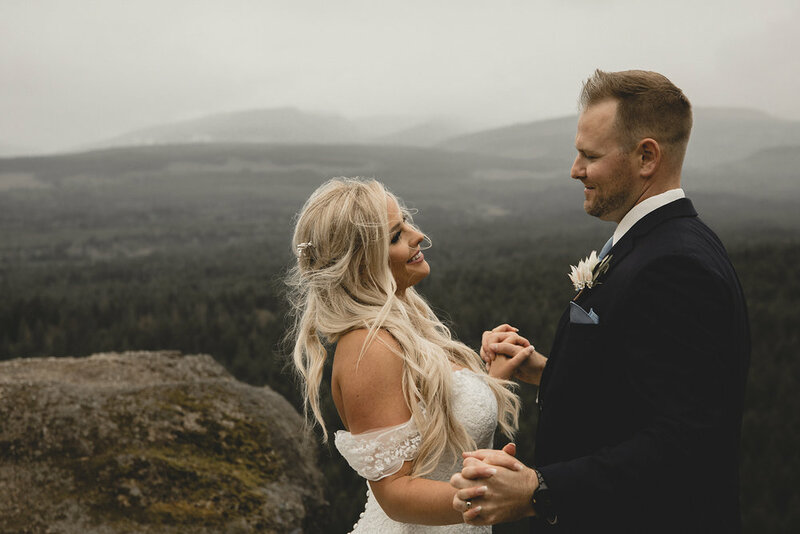 Even though Mother Nature tried to scare us away, shooting their mountain top portraits in the wind and rain resulted in one of our favourite collection of photos we’ve ever captured at a wedding. 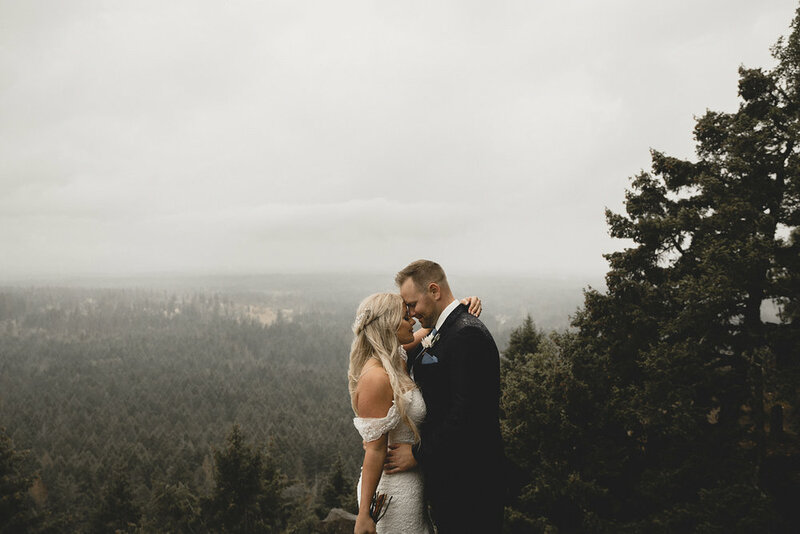 Truly one for our record books and Andrew + Monica never once hesitated to embrace the elements. 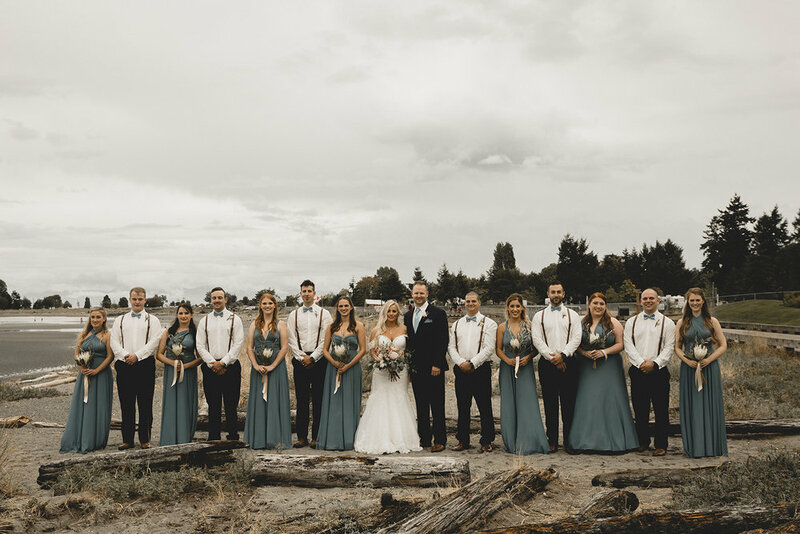 After their session, we made our way back down to the venue for the reception and a few more evening portraits by the water before their sparkler send off and hopping a ferry ride home. 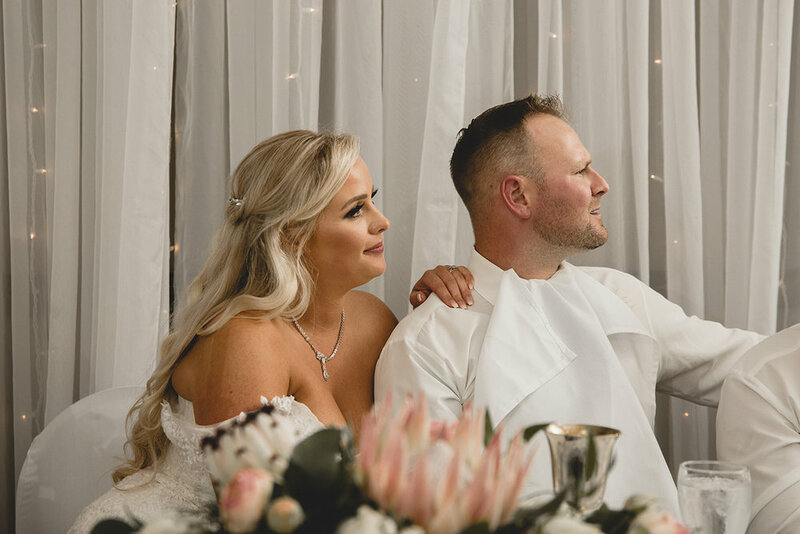 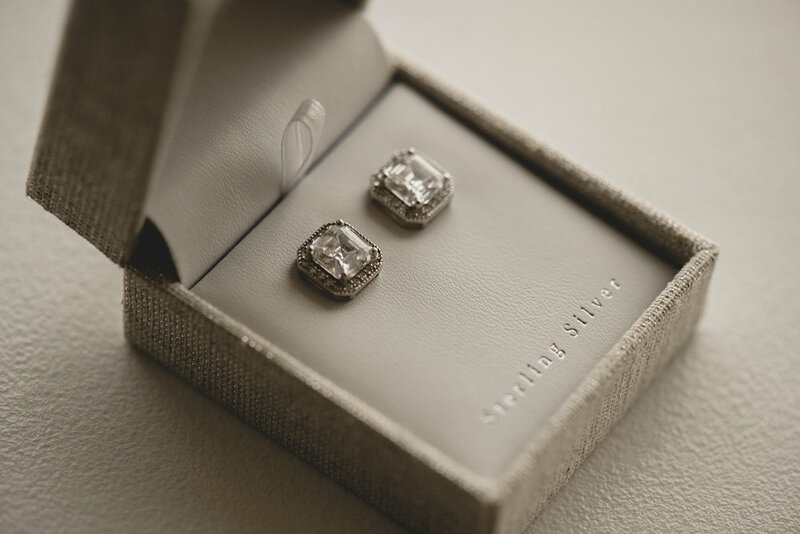 Wedding season can be hectic and while it seems like several months fly by when we are so busy, the opportunity to reflect back on the incredible moments we are blessed to document leaves us feel so honoured to do what we do. 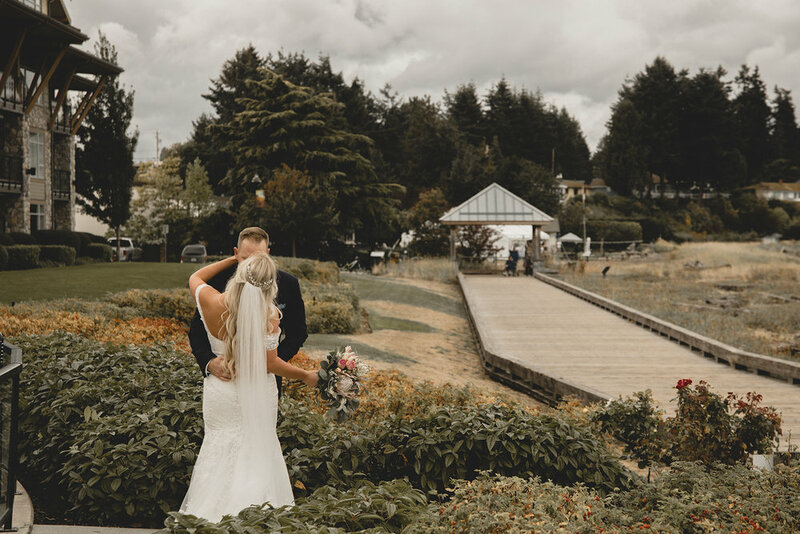 Andrew + Monica, thank you for the opportunity to join in and celebrate along side your incredible day. 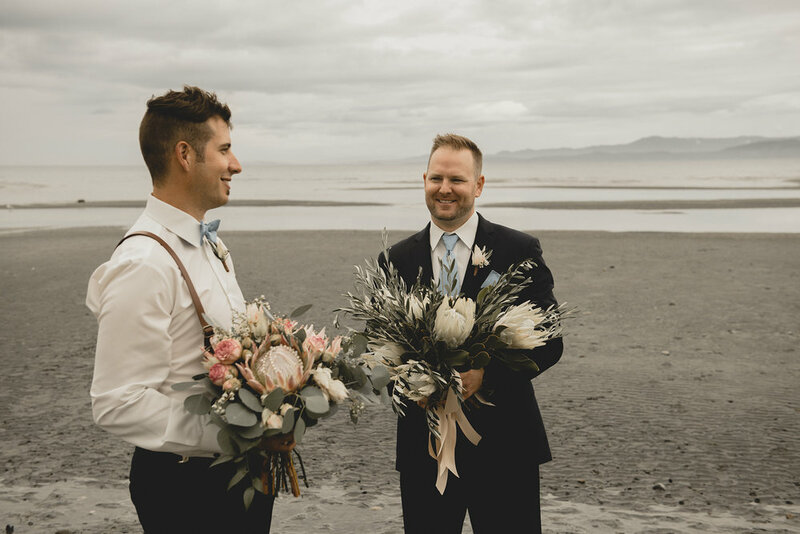 We feel so lucky to have connected with you both. 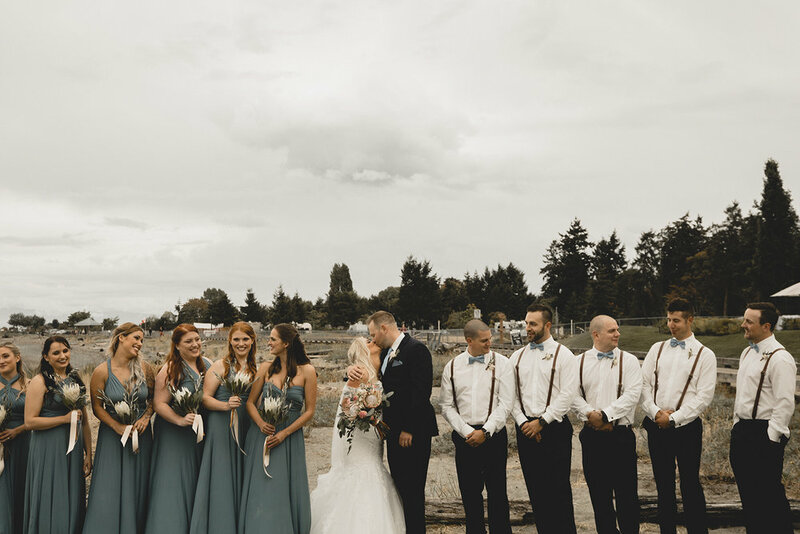 Shout out to the unbelievable team of humans that helped make this day possible.